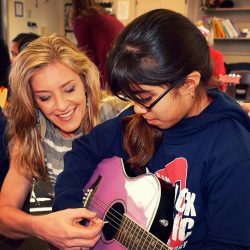 In 2014, AESD’s Board of Education made a commitment to ensure all students had the opportunity to receive genuine, quality music instruction within their school day. It began with the very successful orchestra and Mariachi programs followed by the hiring of several general music teachers. By 2018, all of the district’s 24 campuses will have full-time general music teachers (TK-4th grade) and instrumental teachers (grades 5-6). To support the District’s work, the Anaheim Creativity Council was formed in 2015. Comprised of local arts and entertainment industry leaders, the Council works to assist AESD with the re-introduction of music education into all schools. 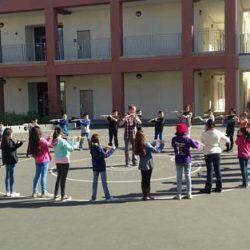 Anaheim Elementary School District has also formed an important partnership with the National Association of Music Merchants (NAMM). 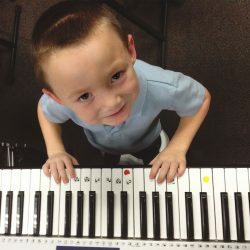 With its conference held right here in Anaheim each year, NAMM has donated tens of thousands of dollars to AESD’s music programs.